Kusadasi is a busy seaport and not recommended for long stays. However, it provides a good base to explore the nearby impressive site of Ephesus. 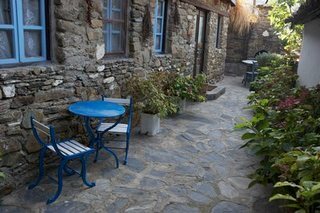 An alternative base to Kusadasi is the charming mountain village of Sirince(9 km east of Selcuk), known for its traditional 19th-century village houses, some of which have been converted into guest-houses. Wine is produced in this small hillside Turkish village, which itself resembles an open-air museum. The village is under a conservation order to retain the authentic houses remaining after the Rums departed for Greece in 1922. Izmir is where the airport lies for those wanting to see Ephesus and Pergamon. The town itself has a beautiful castle but it is a large city and there's lots of traffic so we recommend a very short stay if any. For business people needing accommodations, please check with our Istanbul agent and they can assist you. Gullu Konak (Rose Residence) is the most exclusive place to witness this heavenly atmosphere. The initial owner of this exceptional residence renovated this lovely historical building with utmost care to its details and adorned the garden with diverse fragrant roses worthy of Þirince…In 2001 the residence was put under historical protection. A centennial history embedded in its stones, the residence offers you six exclusively decorated, luxurious rooms where you can experience Þirince's tranquility, joy and pleasure. Each room of Güllü Konak is named after one of the colorful roses beautifying its garden for a century. An oregano-scented wind from the mountains may accompany you while tasting Aegean flavours in the restaurant; or while enjoying the out-door jacuzzi. 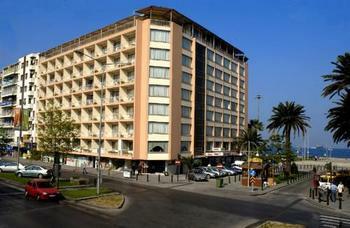 The Izmir Palas Hotel is situated on the Kordon (sea front promenade) in the heart of the city with spectacular views of Izmir Bay. 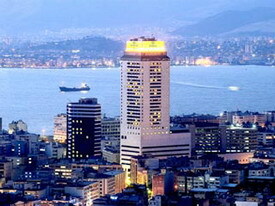 A prestigious family owned establishment with cosy and friendly atmosphere, Izmir Palas Hotel which has hosted guests since 1927, is not only the most elite hotel of the city but alsa the most well known, Rebuilt in 1972, the hotel underwent a comprehensive modernization in 2005, in which the 138 rooms and suites were redesigned and redecorated, Each room have splendid city or sea view, most rooms have balconies, and are furnished with bathroom, internet connection, air conditioning, safe, minibar and television. 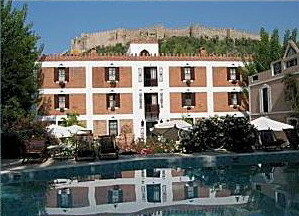 The Hotel is situated in the center of Selcuk just below the sixth century castle and only 3 Km. from the world famous archeological site of Ephesus. The House of Virgin Mary, the Basilica of St. John, the Isabey Mosque, the Artemision Temple and a remarkable archeological Museum are also nearby. The historical and mysterious Kalem Island,a haunting place of only the sailours up to date now welcomes its quests in Oliviers Resort, a boutique hotel, which has 30 distinct rooms. This natural paradise at which you can reach by passing through the olive trees will take the sense of exploration inside of you to its summit with its beaches covered with fine sands, tempting colours of the sea, extraordinary flora, amazing sun set and rich underwater world deriving from different features of its shores. 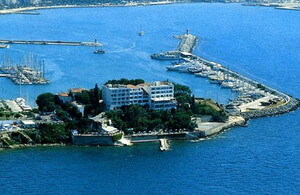 This long-established hotel is now surrounded by landscaped grounds and overlooks the bay. Rooms are simple in décor but all have stunning views. This Boutique hotel offers to the guests an experience which combines the truly traditional Turkey within the village of Kirazli Koyu and luxury accomodation within the hotel. All rooms are decorated with Turkish Textiles and interesting Art this small complex takes you into a very calm luxiourious setting. The garden and swimming pool courtyards offer a nice escape after a full day of touring. Breakfast is served in the pool terrace courtyard, as is dinner, according to demand. 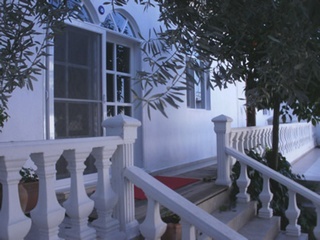 Nisanyan Evleri this year has finished the Hotel section which has been done in the old Greek style as well. The New section blends in with the Houses offers a wonderful large terrace where breakfast is taken. The houses consists of three warm and comfortable furnished hmes. This is an inviting place in either summer or winter. 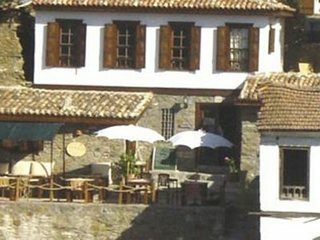 It offers intriquing furnished houses in the historic village of Sirince. The houses originate in the 19th century. They were renovated using traditional construction techniques by Müjde and Sevan Nisanyan who are very interesting people if you're lucky to get to enjoy a cup of cay with them. Central heating in winter makes this one of our high commendations. Since Sirince is in a high altitude, the summer months are cool so a/c is not a neccessity. 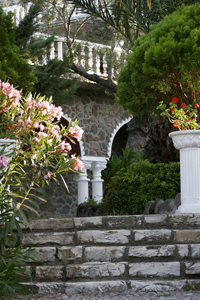 Sirince Terrace Houses is a family run enterprise consisting of 3 heritage cottages overlooking the magnificent valley of Sirince, in other words, Ephesus on the hills. Olive House, Fig House and Grapevine House all have their own distinctive character and were lovingly restored over 6 years. 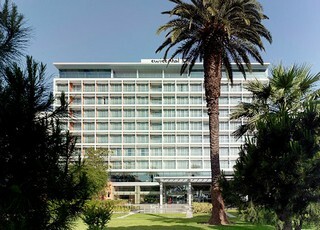 Set in 40 thousand square meters of landscaped gardens Swissôtel Grand Efes, Izmir is a five-star deluxe hotel located in the heart of the Izmir’s commercial hub and overlooking the spectacular Kordon Promenade, on Turkey's Aegean Sea. A member of “The Leading Hotels of the World”, Swissôtel Grand Efes, Izmir has 402 luxurious rooms including 55 elegantly decorated suites and 72 Swiss Executive Rooms. Equipped with the latest technology available Grand Efes Convention Centre located in the hotel, is designed to host all kinds of meetings and conferences in an ideal setting. As the first spa honored with a ‘Leading Spas of the World’ membership in Turkey, Amrita Spa & Wellness offers recreation and relaxation in Swissôtel Grand Efes, Izmir.